Is Gambling Online with a Mac any Different than using a PC? 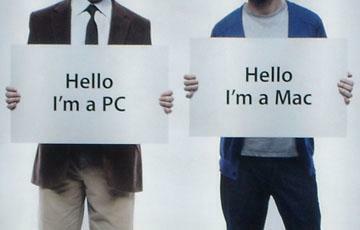 When it comes to modern computers, people generally subscribe to one of two types: PC or Mac. PCs usually run some type of Windows operating system. They are the most popular and widely used home computers on the market, and nearly everything can run on these systems. Macs, on the other hand, commonly run some version of OS X, Apple’s proprietary operating system. While there was a time when many software developers largely ignored compatibility for Apple computers, a recent boom in the popularity of these machines has made that a minimally problematic issue for today’s users. If you’re using a Mac, Silver Oak Casino offers an impressive range of Webplay games, including some of the best slots on the web, your favorite table games, video poker and keno. While you won’t be able to download our casino software on a Mac, we’ve got you covered with our browser-based games. Simply create an account, and get started. There’s no need for any downloads or installation. Since our games are developed by Realtime Gaming, the best in the business, you can expect the most refined gaming experience you’ll find anywhere. We’re adding new games all the time to make sure that your gambling experience is consistently exciting and fun, every time. Unlike lesser online gambling destinations, Silver Oak has all of the tools you’ll need to enjoy plenty of great games whether you prefer a Mac or a PC. If you want to take your gaming out of the web browser, Silver Oak has a comprehensive download that contains all of the stuff you’ll need to play directly from your desktop. This program is only for PC users, however. Casino installation isn’t available for Mac users at this time, but that doesn’t mean you’ll miss out on the fun! In addition to access to over 80 of our most popular games, Mac users can take advantage of all of our amazing promotions to make their money go farther than ever before. Whether you use a Mac or a PC, Silver Oak Casino has everything you’ll need to have a great time. From some of the best promotions in the industry to a comprehensive selection of games, we’ve got our Mac users covered. While some of our games lack a Flash version and are, therefore, unavailable on Macs, we’re working to make sure that every gamer has access to a variety of impressive titles for the best gambling experience on the web. So, if you’re playing on a PC, you’ll be able to enjoy our comprehensive download and choose from our full selection of games. If you’re on a Mac, you can choose any of our Webplay titles and enjoy our full selection of awesome promos and bonuses to make your time in the casino more fun than you ever thought possible. Now that you know the difference, there’s no time to waste! Get started, and get on your way to your first big win. Mac or PC, we’ve got something for everyone at Silver Oak Casino.